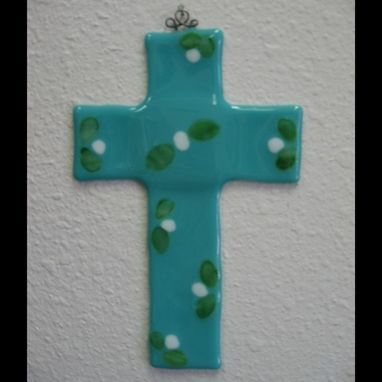 A perfect gift for Easter, christening or First Communion! A teal cross is decorated with white flowers and green leaves. The cross is 6" x 8". Custom orders are available, and price will vary by design and size; allow 2-3 weeks for creation and delivery. Contact me for more information.